You’re getting ready for another day at work when someone you thought you could trust asks, “Do you want to go outside for a walk later?” He must be nuts. You work on a submarine and the thought of taking a walk 20,000 leagues under the sea isn’t very appealing. Maybe it’s a test to see if you belong. Or, is this stranger actually a spy, attempting to uncover your location based on your answer? That is the crux of Spyfall, an amazing hidden betrayer party game made available to the lucky few that backed it on Kickstarter or were able to pick up a copy at the international board gaming trade show Spiel in Essen, Germany last year. Everyone in your group is at a certain location – submarine, casino, bank, etc. – but one of you is a spy. She wants to figure out where you are, while the group is trying to figure out who among them is the covert agent. Expansions Owned: No expansions yet – you can’t even get the game in the U.S.! I love a good party game, particularly ones that involve bluffing and deduction. I Spy, only you don’t want to admit you’re the spy. Someone who is not the Spy offers an ambiguous answer that makes his allies think he is the Spy. Then all attention focuses on that person, as each player tries to trap them, while the real Spy sits back and enjoys the chaos. As the Spy, you totally know the location but your guess isn’t 100% exactly the name on the card and someone disputes your win. And yes, this will probably happen if you have the wrong group of folks gathered. Just a few of the 26 different locations. Oh, plus that friggin' spy! 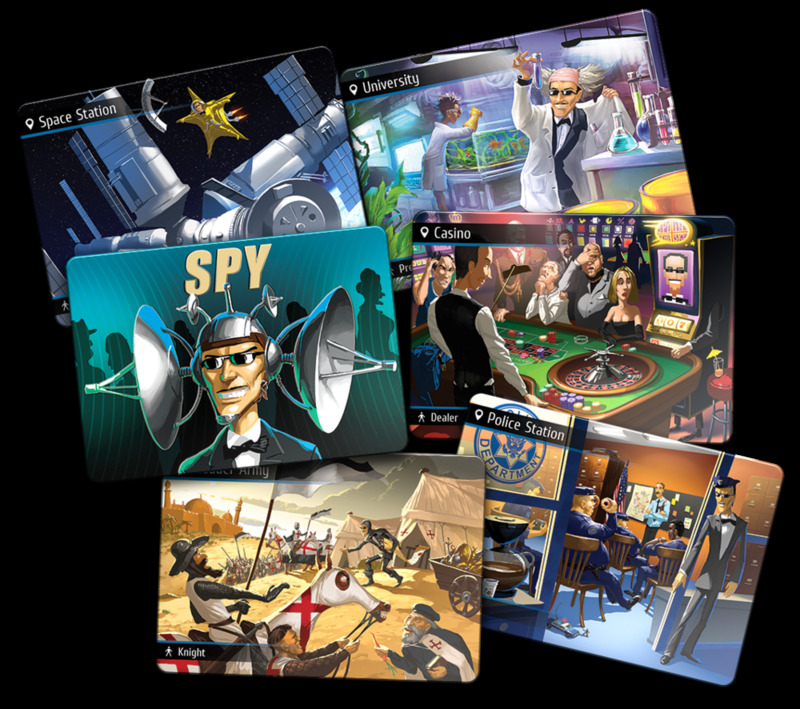 The cards have nice art for each of the locations, with a spy cleverly hidden in the background. Spyfall comes with a couple dozen baggies to separate each set of locations, which is an inelegant, but efficient way to do it. One playthrough – so about three minutes. Longer, though, to remember all the possible locations. The Special Edition should come with a bottle of scotch. There are no expansions yet, but this baby is destined for numerous add-ons. More locations – even themed locations, would be great. It’s quick. There’s an eight-minute time limit per round that you will almost never reach. It’s highly sociable – a great icebreaker game. Did not meet a single person at BGG.con who disliked this game. You can burn through all 26 scenarios in one sitting (though it is very replayable). 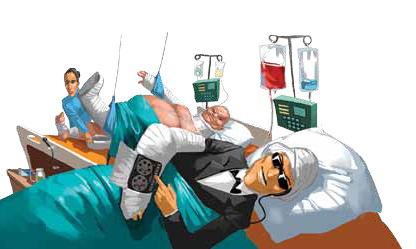 When the Spy gets asked the very first question in a round, it can end quickly. You like quick filler social games. Want to get to know and become comfortable with a new group of gamers. You like learning which of your friends are the best liars. Questions about Spyfall? Ask in the comments. Played Spyfall and have your own opinion? Tell us! Who knows, we may feature you in the Dog and Thimble Podcast.